to share with us all!!! I used the Savvy Davvy paper line for this card. 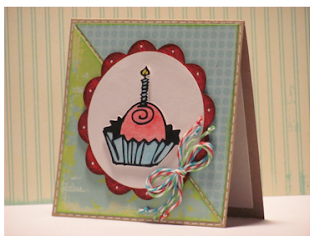 The card measures 4 ¼” x 4 ¼”. The scallop circle is 3 ½” and circle is 2 ¾”, both were both cut with Make-the-Cut. 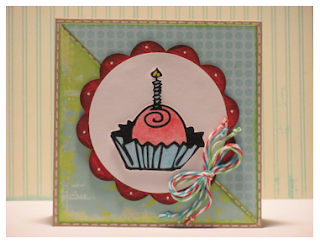 The stamped image is from My Creative Time’s new stamp set called All Around Accents. The twine is from Twisted Sugar Twine. This is really cute!!! 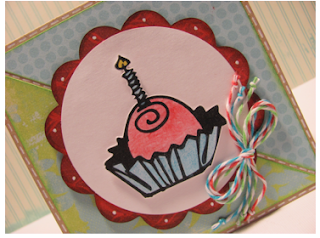 Love the stamp set and your design!